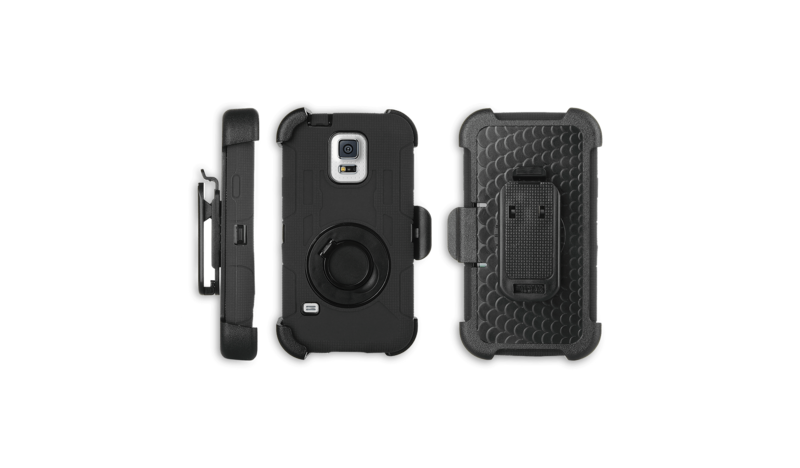 This Hybrid Swivel Belt Clip Holster Galaxy S5 Case provides shock absorption and scratch prevention while maintaining a sporty profile. Swivel belt clip holster design is super convenient to carry while travel, work or sport. The built-in rotating ring style kickstand provides a hands-free viewing experience. 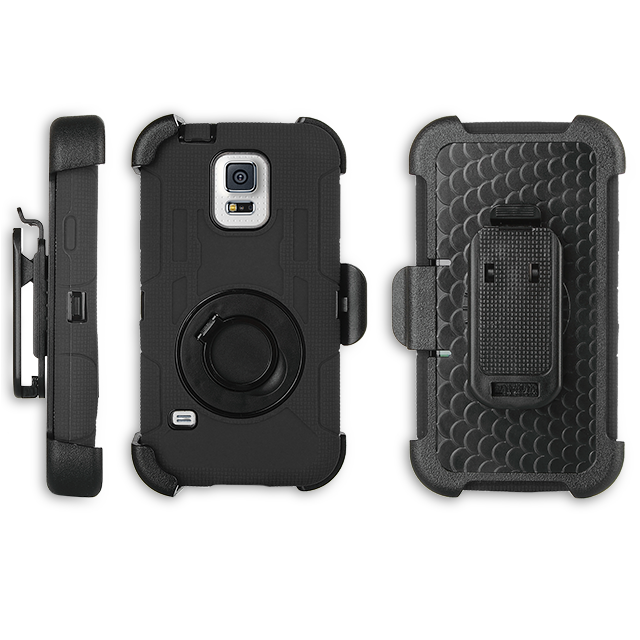 Advanced dual-layer (inner PC shell + outer Silicone skin) design provides great impact and shock resistance and prevents accidental drop, bump, and shock. USB headphone Port covers keep out debris and dust. Precise full access to ports, buttons and all features. A raised lip protects the touchscreen and camera against flat surfaces.